This is disgusting. Twitchy is reporting that the AP (under pressure from radical Islamist front group CAIR) has redefined Islamist. 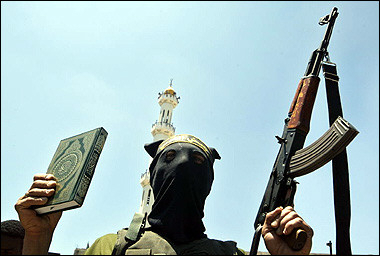 It was too ugly a word before, and now, thanks to AP, Islamist is all warm and fuzzy! ”An advocate or supporter of a political movement that favors reordering government and society in accordance with laws prescribed by Islam. Do not use as a synonym for Islamic fighters, militants, extremists or radicals, who may or may not be Islamists. Guess what, AP. Reordering the planet according to sharia is radical. Can the AP point to the Islamist utopia where women, homosexuals, and other religious groups live in peace and complete freedom with full rights? Can CAIR?